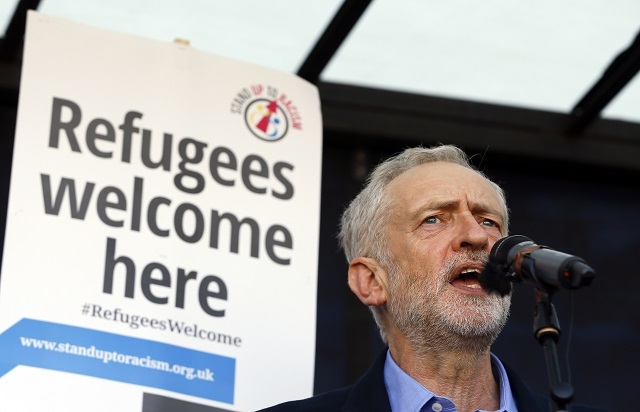 Given the serious consolidation of racism in Britain, the Labour party, under a Left leadership, must put anti-racist politics front and centre of its vision and policies, writes Simon Hannah. There were chaotic scenes in Parliament on Monday, January 28th, as Labour scrambled around for a position on the Immigration Bill. Just days earlier, Diane Abbott had derided the legislation as “one of the most serious threats to all workers for decades”, yet it suddenly looked like Labour was going to abstain, a move that only a massive backlash from party members prevented. To understand what lies behind this prevarication we have to understand Labour’s history on immigration and racism. The British state is a thoroughly racist institution, mired in blood from decades of colonialism and imperialism. Today the political class drive forward an anti-immigrant agenda targeting ‘low skilled’ workers from abroad. Given how serious the consolidation of ingrained racism is in Britain – the Achilles heel of the working class – it is clear that a party like Labour, run by a left winger like Jeremy Corbyn, needs to put anti-racist politics front and centre of the party and the wider movement. To do so we have to start from basics: Britain’s historical role as an imperialist and colonialist power and the profoundly negative impact it had on how many British people see the question of nationalism, immigration and refugees. It requires us to understand that today in Britain there are widely held anti-immigrant views. Significant numbers of people are opposed to multi-culturalism and our Muslim community in particular has been subjected to divisive attacks by the far right. There is also an entire industry built around controlling, monitoring, detaining and deporting people deemed not to belong here. The current debate over immigration is one confined to economic questions: Immigrants are not viewed as people, they are considered as units of production determined by the needs of British capitalism. That is what explains the urgent calls for ‘high skilled’ workers, engineers, scientists and so forth, and for much stricter limits on so-called ‘low skilled’ workers. It is worth considering that this distinction is in part driven also by the strength of populist racist nationalism, which cheers on those politicians calling for Britain to be ‘tougher’ on immigration. Ironically this can lead to short-termism which is counterproductive to the wider needs of society – we need plenty of ‘low skilled workers’ to be involved in social care for the growing number of elderly people for example. Yet these are the very people being dissuaded from coming to Britain to work. There is also clearly a class distinction at work between the better-off sections of skilled working class people and those with traditionally middle class professions, on the one hand, and the poorer worker. One is accepted and even occasionally welcomed, the other is what people think of when they saw that ‘tipping point’ UKIP poster. The liberal logic of racism in Britain has been that since 1960s non-white immigrants living in Britain should be treated equally, foreigners seeking to come here must be vetted, controlled and, if necessary, kept out. British national borders under post-colonial capitalism had to be guarded and protected for a variety of reasons – notably the need to preserve the relative privileges of white British workers as opposed to those from the ex-colonies. Immigration was initially tolerated for specific economic needs related to the public sector, for instance staffing the NHS. This perpetuated the racist model and logic of British imperialism: the black person as servant, only valuable in as much as they provide a service to the white population. Echoes of that can be seen even today in liberal posters calling on people to respect immigrants because they “saved someone’s life” working in the NHS. You only have value in as much as White British society gives you worth. In essence, Britain achieved its superior economic status through colonialism and imperialism — systematically plundering and under-developing large parts of the world — and then the theft from those countries had to be guarded by closing-off the borders to the very people that suffered under that system. This ‘us’ and ‘them’ logic infects the wider politic, generating a view that foreigners are lazy, criminals, sub-intelligent or, alternatively, so hard working they threaten your own job. They are depicted as a torrent, a multitude of people (again, the UKIP ‘tipping point’ poster in the EU referendum is a prime example). This fosters an existential fear that British culture, ‘our’ very way of life, is under attack. Multiculturalism comes to be seen as a liberal elitist conspiracy to rob Britain of its identity. Muslims become ‘the enemy within’. Increasingly, Jews, the perpetual symbol of the ‘other’, are targeted again. There is a terrible anxiety in large parts of the country that conflates economic decline with mass migration – a belief that is fostered by far-right demagogues and opportunity politicians hungry for votes from desperate people. The newly arrived immigrant communities from Eastern Europe are met with a xenophobic reaction which depicts them as an ‘unstoppable’ social force of mass migration imposed on British people by liberal elites. This argument lends itself to fascists and right wing populists who can make out that politicians are “lying to you” about the figures. This othering also creates a permanent state of social exclusion for many Black people, still facing systemic racism in employment and education and being over-policed and under protected by an police force which even the UN has criticised as institutionally racist. Labour, as a party which historically has been a political instrument for managing capitalism within the limits of British parliamentary democracy, inevitably will absorb and reinforce some racism. This is because British capitalism, and thus British society, is racist. This is the contradiction of Labourism: it portrays itself as an anti-racist party with a great many committed anti-racists in it, but in fact historically has been perfectly capable of implementing racist policies when in government. The pressure of being in power has always had a profound impact on triangulating Labour into the racist mainstream. In the last century, Labour administered the British Empire whenever it was in government (as one minister in the 1924 government put it, “I’m here to make sure there is no mucking about with the British Empire”). It only reluctantly gave up India in the 1940s, when a national liberation movement forced them to. When the Conservative government proposed the Commonwealth Immigrants Bill in 1961 – the Labour opposition argued against it as a racist move to create border controls. Yet when Harold Wilson, a man from the left of the party, became Labour leader in 1963, and the party won the general election in 1964, he made it clear that Labour did “not contest the need for control of immigration into this country”. Rapidly a cross-party consensus emerged that there were too many black people coming into the country and they had to be stopped. Wilson went on to argue for limiting the “number of immigrants with differing cultural and social backgrounds” as it caused “difficulties”. Whether it is restrictions on employment, benefits or even spouses, successive British governments, both Tories and Labour, have tightened immigration controls when in power. The primary exception to this is the Blair government and the Freedom of Movement from EU member states. Again, the apparently more liberal ‘open borders’ approach remained a policy of the capitalist class, namely that the single market necessitated a greater integration of both European capital and labour markets. But it would also be a mistake to imagine that it is just right wing voters pushing liberal politicians into adopting more regressive policies towards foreigners. The primary concerns of the politicians governing the state are for the smooth operation of British capitalism —even when seeking to develop a mixed economy, social-democrat variant. Divide and rule is a quintessential part of how capitalism operates when it comes to the working class. Politicians get sucked into the logic of competing capital and the logic of the labour market under a competitive system, one that always has winners and losers. Black and ethnic minority people under capitalism are usually losers, and the social and political attitudes reflect that. This is why — even when Labour passes anti-discrimination legislation — the root of the problem remains. Even under Corbyn’s leadership, Labour is advocating recruitment of another 1,000 border guards and has made it clear after the 2016 Brexit referendum that “freedom of movement will end”. Likewise, Labour’s 2017 manifesto endorsed aspects of the Tories’ hostile environment legislation, bringing in ‘No Recourse to Public Funds’ (NRPF) for all immigrants who stay in Britain without a permit. This was pitched as the more humane approach to immigration control, as opposed to the arbitrary income threshold. But let’s be honest about what NRPF means: starving people out of the country. 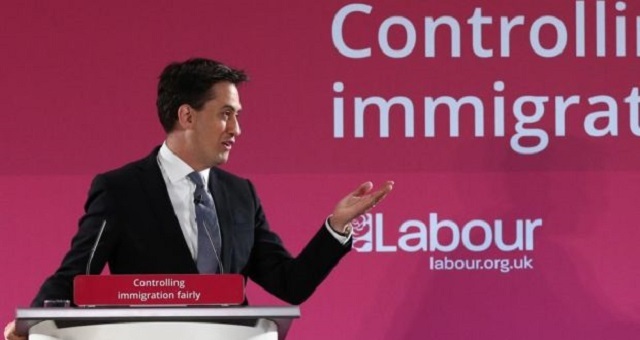 It is an indication of how passive the left has become that they were fuelled with rage by the control immigration mugs of Ed Miliband (which Ed Balls wrongly predicted he would be using to toast Labour’s return to power – rather than losing his seat), but now provide justifications and excuses for similar policies under Corbyn. Of course, this debate isn’t just connected to immigration. It is worth adding that Labour’s call for an additional 10,000 police comes without any proper discussion of the nature of the police or their role as an institution of force and oppression under capitalism – in particular the history of racism and violence against people of colour. Instead this has been portrayed as a positive step towards tackling crime. Given the context of Brexit, the rise of the far right internationally and the kind of polls that indicate that the majority of people in Britain fear that ‘multiculturalism has gone too far’ — it is obvious that more needs to be done by the labour movement to combat racism. A proper Labour anti-racist campaign must start from an analysis of the power relations in society and also within the Labour Party and its relationship to the state. Steps were made recently to develop a grassroots London based campaign called Labour against Racism and Fascism (LARAF). At a meeting in January, a number of Momentum full-timers flooded it (supported by London Young Labour and a handful of Stalinists) and seized control of it. This was done precisely to prevent an independent anti-racist voice emerging within Labour. The takeover was inspired by a vision of Labour anti-racism which seeks to lock the campaign into the party’s institutional embrace. This requires building a campaign that is neutered and docile when it comes to Labour’s own politics (and is thus specifically uncritical, closes down room for debate and so on) — in other words, a campaign which becomes an official affiliate of Labour, inevitably limiting its room for manoeuver as a militant and unashamedly anti-racist organisation. In a puffpiece for the campaign, Artin Giles and Natasha Josette point to some important issues around structural racism in Britain. But the proof of the pudding will be in the eating – can the campaign challenge Labour’s own support for NRPF, or draw out the inherent racism of the points-based immigration system which is being proposed as an alternative to the Tories’ income thresholds? Politically, the current LARAF leadership overlaps with a wing of the Labour left who are cheering Brexit on as a way to impose capital controls and restructure the British economy in a state of semi-autarky, whilst also limiting the actual anti-capitalist demands of social ownership of production and exchange to what the social democratic Labour leadership will accept. This is why discussions around free movement are so laboriously refused, because they open up an internationalist argument which is fundamentally at odds with the social-democracy-in-one country model of the official Labour left. In this vision, LARAF’s mission is simply as a platform for bolstering the Labour Party leadership’s anti-racist credentials, which is why the Momentum office wing of LARAF were so concerned about an article that challenged Diane Abbott’s response to the Immigration Green Paper published by the Tories last December. Abbott’s response was not to challenge the logic of the new immigration controls, but merely to put forward a different criterion for judging someone’s worth to British capitalism. The problem with publishing such a critical perspective is that it would mean that Abbott wouldn’t want anything to do with LARAF. The conclusion, then, can only be that LARAF must never cross the line into challenging – even in a comradely way – Labour’s inevitable right-wing drift on immigration. Given the history of Labour and its role as an administrator of capitalism within the British state — something that isn’t going to change with Corbyn — having critical voices that can support Labour where it does well and advocate alternative policies and politics where necessary, is going to be crucial. This requires that such voices have organisational and political freedom, away from full-timers who make a living working for the movement (whether working for MPs or the Momentum office). Put simply, you need a grassroots campaign that is based at the level of CLPs and wards, and reaches out horizontally to trade unions to build a strong, locally-based anti-racist movement across the country. Instead, what will be built is a top down bureaucratic organisation where dissent is not tolerated and the leadership is lavished with praise — and shielded from criticism — even as it inextricably gets incorporated into the modulations of racism of British capitalism. This is why the LARAF focus on anti-fascism is also a sign of that political weakness. Anti-fascism is important — denying the fascists a space to organise and demoralising their movement is a necessity — but it is also frankly a one-note politics. This is not to denigrate those comrades who dedicate themselves to anti-fascism and bravely confront the violence of the far right on a regular basis, but fascism is a symptom of the toxic web of British imperialism, nationalism and vulgar populism. It is a political question, not merely an organisational one of mobilisations. It is also one that is easy to sell — ‘fascists are bad and we need to protest against them.’ A left that focuses on anti-fascism and not anti-racism is simply rearranging the deck chairs on a sinking ship. As Sun Tzu so memorably (if apocryphally) warned, “tactics without strategy is just the noise before defeat”. The principal disagreement is therefore a political one, which sadly is rarely brought out into the open in a meaningful way: It is whether you see the transformation of the Labour party into something more socialist, orientated towards the class struggle and radically anti-racist as only possible through the current left leadership; or do you see the left leadership as an ally but one where – inevitably – there will be contradictions in the very nature of Labourism that require an independent voice. Those that advocate the second approach are derided as ‘Trots’, because they are critical and vocal about challenging Labour’s integration into the establishment and structures of governance of British capitalism. Meanwhile, others cheer Labour’s left turn on, refusing to see the contradictions or inconsistencies, and lambasting others as ‘traitors’ or ‘closet Blairites’. History will have to decide who was right and who was wrong. Simon Hannah is the author of A party with socialists in it: A history of the Labour left(Pluto/Left Book Club, 2018) and a member of Tooting CLP. He is also a joint branch secretary of Lambeth UNISON.